Imported from the most world renowned Moscato producing region in Italy, Oh Rome Moscato D’ Asti is a vibrant and refreshing wine with hints of pear, cantaloupe and green apple. Clearly one of the best Moscato’s on shelves today. Its effervescence is just bubbly enough to tickle the tongue and linger fantastically! *New to the Staceywines.com marketing portfolio. Sold NOW in most Retailers in Nashville TN and Birmingham, AL. Soon in Atlanta, GA, Memphis and Chattanooga, TN. Check the “Where to Try & Buy” section periodically for updates or send me an email if you’d like your favorite retailer to carry. We were introduced to this Moscato in San Antonio, TX. We fell in love with its refreshing fruity taste. Can you let me know where it is sold in Slidell Louisiana? Im so delighted that you love Oh Rome. I’m afraid we’re not in Slidell just yet. Im getting word on where its sold in Louisiana right now. Stay tuned! This particular mosacato is very difficult to find in the houston area though it was once sold at the local HEB’S they are no carrying it . do you have any idea as to who may sell it in our area. Tenna, I’m not sure of other locations selling Oh Rome in Houston. When someone posts with new locations I will post it. Thank you. I tasted and bought at HEB in Beaumont, this has got to be the BEST wine I have ever had. I was also introduced to this delicious wine in San Antonio last week. It was being sampled at H.E.B. and I loved it. Is it sold in Southern California? It is sold in California. Sorry I am just seeing this! I was also introduced to this wine at C.C. TX H.E.B. They were sold out in two days. Where can I buy some more. Who else sell it in the Corpus Christi Area? Hi Ben, All HEB stores have it. You can check with other HEB’s in the area. I also sent you an email. Thanks! I want to know how I can go about purchasing online. I’m located in Indiana, however my cousin in Texas is raving about Oh Rome Mosacato D’Asti and I would love to try it. Wow! We were given a sample of this at H.E.B. in Katy, TX yesterday – served in a pitcher over frozen blueberries and strawberries! It was awesome and refreshing. Bought a bottle and a bag each of blueberries and strawberries, ended up going back to H.E.B. for 2 more bottles! A little sweeter than I usually like, but this is not syrupy sweet and was very light and refreshing! Definitely a keeper! Like others, I saw this wine featured at my local HEB. I bought a bottle and it was absolutely delicious! I’m going back for many more! I drank it alone, but it would be wonderful as part of a white sangria. Fantastic. Thanks for those ideas Ronda and Tina Marie! Awesome! I was very upset to not find this on the shelf at Heb in buda,Texas! Wanted it for a special occasion! Im so sorrry Rebecca! It’s been selling like hotcakes! Notify the wine steward at HEB that you’d like a phone call when it re-stocks. Same store I shop at! And I absolutely LOVE this wine!!! Cannot find it ANYWHERE else, and have only found one other that even comes close to the taste and that is the Cupcake (brand name) Moscato.. But can’t find that anywhere so far. Debra, I’m so glad you love Oh Rome! Keep enjoying! I tried this at HEB at Summerwood in Houston, TX. I loved it. I bought a bottle on Friday evening and went back for more on Saturday. My mom and i absolutely loved it! So delicious. Better than any other moscato we’ve ever had!! I tasted this wine at HEB Beaumont. I also do tastings in the area. Southeast Texens LOVE Sweet Wine Please send more . Send to Walmart, Sams, Kroger, Specs, Every where!!!!! Best wine I have tasted thus far….Does Specs sell it? Hi Shameka! I’m so glad you enjoyed it. Are you in Texas? I’m not sure exactly but if you tell me where you are I can get a few locations for you. The problem is, you can’t always get it when you want it. Our HEB is out reguarly! They are only able to order five cases at a time and trust me, that ‘s just not enough! We shop at the Summerwood location in Houston and they are out all of the time! When they have it, we by six at a time. It’s SO good!!! Unfortunately, we’ve been forced to find another wine that is more readily available. We’d love to stick with Oh Rome though… is it sold anywhere else besides HEB? I just found out that HEB has an exclusive purchase deal, but it customers demand more of it, they will stock more. To my understanding, HEB will stock more if you request it. Please ask them about it. Thanks so much for your intererst! Your wine is awesome… bought it at HEB in Granbury Tx…problem is this, the last 2 bottles we couldn’t get the cork out. Tonight the corkscrew broke (not a chep corkscrew either) and we ended up drinking cork in our wine. Why are the corks so hard to get out??? I love this wine and have been buying it at heb in Corpus Christi and they no longer are selling it. Where oh please can I buy this wine. Spoke with the HEB store in Houston, Texas, they say that they have been trying to order more. There is a high demand for it in the Southeast side of Houston. Is this sold anywhere in Ft. Smith,Ar. ? I bought 2 bottles while in Waco,Tx. At HEB and fell in love with it! This is one of the best wines I’ve ever had! It goes great with roast poultry and fish, and my homemade caramel apple pie! Love it! Thanks Arnetta! We’re thrilled you love it. Please spread the word! We just got Oh Rome on shelves in Nashville and Memphis, TN. If you know anyone there please tell them to check it out. Thanks! Sampled this wine at HEB in San Antonio, Tx. and fell in love with it. I am on my 3rd bottle already. I have tried alot of wines but this is by far the best ever! I just got a taste of the amazing Oh Rome Moscato at HEB in Kyle, Tx. They tell me that they aren’t going to carry it anymore due to limited stock quantities. By far the best wine I’ve ever tasted and believe me when I say my husband and I have sampled a lot of Moscato lately for our wedding reception. Where else is it sold in the Austin/San Antonio area if HEB isn’t going to stock it any longer? Can it be purchased direct by the case? Hi Robin, Thank you for trying Oh Rome Moscato. I will check on this because I believe it will be back in stock soon. Is the email address listed above good for me to reach out to you? I was introducte to this wine at an HEB in my area and it is never in stock. Is this wine sold anywhere else besides HEB? I live in the Houston/Galveston area. Hi Staci, I too would like to know if one could purchase your fantastic wine directly! Absolutely delicious!! This wine is so smooth and without harsh after taste. Do you have a winery in texas open to the public? Unfortunately, we do not have wineries in Texas. Oh Rome Moscato D Asti is produced in Italy. I live in Austin and I love this wine! I’m moving to Dallas soon and would like to know who will have this wine. Any suggestions? Thank you! May I email you at the above address for retailers in your area? Hi I Live in San Antonio,Tx. and was recently told by a wine taster that oh rome can not suppy HEB’s demand so Heb will no longer carry oh rome…That is Very dissappointing….I have Never tasted such a Smooth& Sweet Wine….Please tell Me this Info. is not True???? Thanks so much for your interest and feedback in Oh Rome Moscato d Asti. I was told that they are trying to work something out. May I email about other places to purchase Oh Rome Moscato? Sure, I would Appreciate it!!!! Thank you,& Happy Holidays!!! Tasted your Moscato D’Asti while in Austin TX. It was OUTSTANDING! Trying to locate outlet in Scottsdale/Phoenix AZ but no luck. Do you have outlets here? If not, do you plan to? George, we do have it available in Arizona. Request it at your retailer. Show them a photo and they can stock it by request. Kathy, we’re in most wine stores in San Diego. Go to your fav wine store and ask them to stock it or bring in for you. I believe the distributor there is Southern W&S. Email me back if you have trouble. How do i a do a bulk order of Oh Rome Moscato D’ Asti for my restaurant? Patrick, where are you located? Hopefully anywhere but Texas lol. Seems we’re in short supply there. I live in Dallas Texas and had a bottle of this wine at a friends house!! I am about to DIE to get my hands on a few bottles. I don’t usually like wine but this ROCKS!! Where oh Where can I buy it? Just tasted the Oh, Rome! Moscatp D’Asti in Houston, TX and loved it. Was told by the sampler that HEB has lost the contract to stock it. Please let me know where I can buy it in Houston. This is the best wine I’ve ever had. Just visited Pearland Texas. Purchased Oh! Rome @ HEB and it was delicious! DELICIOUS! Now I am home in Monrovia, California. (Near Pasadena/Los Angeles) Where can I purchase in my area! The best Moscato I have ever tasted! Drank it on New Year’s Eve 2011, loved it!!! Happy New Year! So glad you enjoyed it! From San Antonio,Tx we sampled on New Years Eve at HEB on Potranco. We were never wine drinker but my husband and I love the Oh Rome Moscato Di asti are they going to get more when? I tried your wine while visiting in SA for New Years and we got 2 bottles, it tastes fantastic! Where can I find some in Temple,TX area? I tried your wine in Waco, TX for New Years and LO VED it. Only wine I have ever liked. I bought a bottle on Saturday and went back on Sunday a bought 2 more. I am back home now and we don’t have an HEB. Sure am missing it. Shelly where are you located? the only one that I want from now on! Please Help! Janise, The distributor called RNDC distributes this wine in Kentucky. Call them and ask what retailers have it in stock. If you don’t get anywhere, write back and let me know. Thanks! Do you know where in California? Carol, if you go to your local retailer and ask for it, they should be able to bring it in. I believe Southern Wine & Spirits distributes it. If they are not sure, please contact me back and I will find out for you. Hello again, I looked on the website for Southern Wine & Spirits and did not find the Oh Rome. Can it be shipped to me from somewhere in California or can you tell me where I can buy it in California? Thank you, its the best. What city are you in? I will email you information on how to have it shipped. Thanks. Thank you very much. I will contact Southern Wine & Spirits. Happy New Year! Where in GA near the 3045 area code is Oh Rome sold. The place that use to carry it has stopped. Hi! Can you tell me what part of town that is? What city? Thanks! A friend found this wine in Texas and fell in love with it. I would love to surprise her with a few bottles but no one around here has ever heard of it before. I live in Arkansas which has a lot of dry counties so I can’t even have it shipped here. My nearest town of any size is Springfield MO. Do you know anyone in that area that carries this wine? Thanks in advance. Denise, You can have the wine shipped if you’d like. I guess it will have to be a road trip to TN. Memphis absolutely sells this wine. I can give you exact locations. The distributor is Victor Robilio, now called Glazers. I absolutley love this wine problem is we have gone to 5 or 6 HEB’s and have not seemed to find it anymore but at 1 store. Can you tell me where in San Antonio,Tx I can find it? Sad news they said only HEB’s with kitchen show have wine and was hard to find since they also said no longer sure if they will be restocked. Can I please have info emailed on shipping to me? Hi, I just love this wine and I’m not a wine drinker 🙂 … But I love this and I got a taste in HEB and they lady in the cooking connection said when it was gone it would be gone. I bought 6 bottles. And would love to see this wine come to Southeast Arkansas. Is there any where you can get buy this in Mcgehee, Arkansas ? Thank you so much. I live in the city of Monrovia, California which is near Pasadena, California. Can I get O Rome in Indiana? I have not heard word yet from our supplier whether or not we are sold in Indiana. The states I know for sure are Alabama, Tennessee, Georgia and Texas. I believe wine can however be shipped to Indiana. If you can not find it, please contact me again and I can have it shipped to you. Thanks. I am calling my friends in all areas of Houston to go to HEB to see if they can purchase this wine for me because i bought one bottle and really fell in love with it only to go back and be told they were all out and that they may not be getting any more…..i was told that the supplier can’t make enough for the demand :- / i really hope that is not the case and my HEB has more stock soon. You can purchase it at the HEB in Sienna Plantation i.e. Missouri City. I was told also they were shutting down by the store chefs and I do hope it is not true. I also got a sample at our HEB(wonderful store). I am not much of a wine drinker, but I did like this. Fruity and lite. First bottle of wine I bought that I liked. Looking forward to more of the same. I bought a bottle last weekend at the HEB in Katy, TX. I have never been able to find a wine I really liked until now. Unfortunately, when I went back for more, they are out of it and do not know when they will get more. I would love to get more. Is there anywhere else I can get it? Jeannie, I can have it shipped to you. I will email you shortly. Thanks! You can get the wine from HEB in Sienna Plantation in Missouri City, TX. Limited quantities. I’ve checked the HEB’s in Katy and Cypress, TX. No luck. Would love to order some of this wine. Please email me the info. I love Oh Rome! I get it at HEB. It is yummy. I need a case before my 20 year anniversary in May 2012. Can I order from you directly? Hi Penny. What city are you located? You may be able to get a case from a retailer. I will email you as to how to have a distributor/retailer get it to you. Penny, what city are you loccated? If you’re in TN or AL, you can get the wine directly from a retailer. I have just sent you an email. We appreciate your interest in Oh Rome Moscato d Asti. Hello there I have had no luck finding Oh Rome anywhere in Houston Cypress area. Can I please get information on how to have it shipped to me? I would really appreciate it. Thanks so much. the HEB in Sienna Planttion i.e. Missouri City has it. I have never drink wine at all before, tried a sample at a League City, TX HEB, now I love oh, Rome. But HEB said they are not gonna carry it anymore after the next shipment. Where else can I find it? Tried this wonderful wine at Christmas,my son-in law brought with from Huston Tx, soooo now I can’t find it inOak Lawn Il. this not fair ! Judith, try again it should be there now. If not, please contact me again. Thanks! Casey, I have just sent you an email. Thanks! I was wondering if you can have this wine shipped to your home cause my hebb no longer is getting it in. I’ve just sent you an email. Thanks! Ive just sent you an email. Thanks! Come on over to the HEB in Sienna Plantation they have plenty. Can anyone tell me the alcohol % of this wine? I absolutely love this moscato!! Where else can I get it other then H.E.B in San Antonio? Not a drop to be had in Houston! Where can I find it? Also, what about Washington state? Tom – Did you find a place yet that sells it? I am in Spring and no one around has it nor will they restock it!! Where in Houston,Pasadena, Deer Park or Pearland Tx can I purchase Oh Rome? Where can I order it and have it shipped to my home. Ok….I love this wine – it is wonderful!!! I am not a wine drinker, but after the first bottle, I am NOW. I went back to HEB in Spring Tx and they were out. I asked them about it and they told me that it was just a promo item and that they do not carry it…. Help me please – I would love to stock up on this!!! Though it is a little distance call the Sienna Plantation HEB and ask if they have anymore in stock. Good luck. Thank you for this information JT. Oh Rome Moscato lovers, write a letter to your local HEB and tell them how much you’d like the brand to be re-stocked. You can also send them an email. Thank you! I fell in love with this wine while I was stationed in San Angelo TX and now that I am in Fort Polk LA I can’t find it! I have tried alot of Moscoto’s here trying to find one that compares but I can’t even find one that come close. How can I order some? Megan, you are in Louisiana? I’m pretty sure its available at a few retailers there. Please go to your favorite wine store and ask them to bring it in.Try RNDC as the distributor. If you are still having problems, please write back. Thanks! I just bought my first bottle from Kyle, TX (outside of Austin) and the gentleman at the store said that they were discontinuing Oh Rome. Is this true? Are they discontinuing it at all HEB or possibly just this one? Will Specs still be selling it? Jenny not sure why there are different rumors of discontinuation are occurring. If you cannot find it elsewhere in Texas I can tell you how to order. I discovered this wine at a Trader Joe’s here in Kentucky. And of course, they don’t have any more. They are not sure when they will have more. Could someone tell me PLEASE where else here in Kentucky this is available??? Me too….. My new favorite (and a few friends that sampled some that I had purchased too). Please advise! thanks! P.S. What is HEB?? Elisabeth, I will find out where in Texas this wine is located. Give me a few days and I’ll get right back. Thanks! I’ve tried this wine and I love it but now can’t find it anywhere. Can you tell me where I can buy it in corpus christi, tx. I would appreciate any help. Thanks. The HEB is Spring Tx has 14 cases. I got a case for myself. They said after its gone – there will be no more. Thanks for your response, but….. I’m trying to find some here in Kentucky. I noticed you had written on a previous post from another interested client that you would let her know how to order some. Would you be so kind as to let me know? Thank you!!! I will find out who distributes the brand in Kentucky and get right back to you. thanks! Lisa thanks so much for the feedback. Oh Rome is sold in a lot of markets and its currently in plenty supply in Alabama, Tennessee and other markets. I’m so glad you were lucky to find it in Texas! Enjoy! I had the pleasure of sampling this wine at a recent get together with some friends a couple weeks ago, however, only after several wines before this one. Hands down, I enjoyed this one the best. A few days later while shopping H.E.B. #2 in Edinburg, TX this same wine was being sampled. I tried it to confirm I liked it….I loved it! Took home a bottle that same day and Yes I too am making this my Favorite. I purchased this wine at a H.E.B in South Texas now I am back in Minnesota and can’t find it here.Would you please tell me if someone carrys it in Minnesota.If not can I have some shipped to me.Thank You! Hello Reba, Thanks for chosing Oh Rome Moscato D Asti. I have emailed you regarding Minnesota. Thanks! I have tried Oh Rome and love it. Please let me know where I can find it in San Antonio, TX other than HEB. HEB is no longer going to stock it. Found out today that HEB Central Market sold out of the Oh Rome Moscato and will not be selling it anymore. I live in Cypress which is a suburb of Houston, Tx. Where can I purchase in Houston? Now that HEB is not carrying this wine, where in Texas can we purchase or how do we locate? From time to time, I am in Tennessee, any idea where it is sold there? I would prefer not to use that option….rather one in Texas. Thanks for your help. If HEB is no longer carrying in Texas, what about Specs? We were told by HEB that this is no longer being made. Is this true? If not, where can I purchase this wine. I’m in the New Braunfels, Texas area. I need to know where or how to get a hold of this wine. Im completely obsessed. Is there any way I can order online? All HEB’s in Katy Texas have told me they will no longer sell Oh Rome, where else can I find it in Katy or the Houston area? I went to the West Lake Houston in Summerwood HEB and had a sample and just like everyone else bought a bottle. Unfortunately, I went again and it was nowhere to be found so I asked the chef and he said that “Supply couldn’t keep up with demand so they are not going to carry it anymore. They are going to be getting a new Moscato instead of Oh, Rome.” I said, “Oh, NO!” I have tried A LOT of wines, a lot of Moscatos and Oh, Rome is by far the best. The first time in a long time I have had an entire bottle in one night by myself. I want this wine. Please tell me where I can buy it if not somewhere directly. Thanks. Thanks for your inquiry. I have emailed you directions. Thanks! My husband and I are not big wine drinkers but we love this wine. Unfortunately, our HEB no longer carries it and they told us all HEB’s in the Houston area no longer have the item. Where/how can we buy more? We live in Cypress, TX. Thanks for your business Natalie! I have emailed you options. Thanks! I was also told at two HEB locations that this wine was discontinued and will no longer be carried at any HEB! One rep even told me they were tired of dealing with frustrated customers. If you would please email me with ordering directions, I would be extremely grateful. I tried this wine, last year while visiting my best friend in Barker Cypress, Texas. We were in H-E-B, and we both bought 4 bottles, and have not been able to locate it since August of 2011. I hate this because I loved this wine to pieces, beat by far…. Thanks for your inquiry Calista! I have emailed you options. Thanks..
can you send me a list of where i can buy the wine in katy texas or have it shipped my HEB no longer carries it. I finally found a wine I love and can no longer find it. Hi Cheryl, I will email you shipping options also. Thanks for choosing Oh Rome! Can you email me those options Calista? I can’t get Stacy to respond. I apologize Jason, I thought I emailed you. Sending now… Thanks for inquiring about Oh rome Moscato D Asti. Hi Veronica, What state are you located? Oh Rome may be available at a retailer store or Wine shop if you’re in antother state other than Texas. Hi, we are in Victoria, Texas. Thanks. how can I find out where I can get this my local HEB in San Antonio no longer has it. Stacy can you email the options to get Oh Rome? I’m in Katy Texas. I usually get my bottles of Oh Rome from HEB in sugarland texas, but I went it to load up for Easter weekend and I was told that HEB will no longer carry it!!!!! I really wanted to cry!! So now my question is where can I get it now? Please help me!!! Hi Linda, Texas will not be selling Oh Rome for a while. Several customers on this Comment feed have opted to have me ship it to them. I can arrange that for you also. I will send you an email momentarily. Thanks for choosing Oh Rome! There still is one place to get Oh Rome in Houston Texas! I posted a while back requesting info on purchasing this wine but never got a response back. Could you email purchasing info as well? When my local HEB told me they would no longer carry Oh Rome, I bought all they had left. I am now down to my last bottle. Can you please let me know how I can order online? I live in Katy, TX. It is my favorite wine. We live in Stafford, TX. My wife and I purchased a few bottles of Oh Rome last year and enjoyed the flavor so much we purchased a few bottles for friends and family. We are saddened we can no longer purchase it. Can you email me your shipping instructions, also? As you can see, many of us in the Houston area really enjoy this wine. Thank you. Katy and Houston area OH! Rome lovers for a limited time you can get Oh! Rome at the Bunker Hill HEB! Enjoy and save a bottle for me! All Oh! Rome lovers in the Katy Texas area please go on HEB’s website and send them a email saying bring back Oh! Rome and we don’t care about all the new moscato’s their getting like it , bring Oh!Rome back! I would like to know where I can purchase Oh Rome in Corpus Christi Tx. HEB no longer carries it. My family loves Oh Rome! and cant find it in the local HEB stores in Houson, Tx either. I would love to purchase by the case. Would you please also forward me the instructions on how to order. Thanks. Renee, are you close to Bunker Hill HEB? Have you checked there? My wife just had some of the Oh Rome Moscato D’Asti in Houston and loved it. Unfortunately we live in Gainesville, FL. Can you tell me the closest place to get it in Gainesville? I live in Temple, Tx. The HEB here no longer carry Oh Rome. Can you please send me information about shipping options or another store that may sale it in my area. I do travel to Fort Worth, Tx; so if i can get it there, you can send me that information too. I have told so many people about this wine, but it is no longer sold in my area. This is one of my favorite wines. Hi Tadosha, apparently HEB in Bunker Hill still has Oh Rome. If you dont find it anywhere else let me know and we can have it shipped to you. Thanks! Just sent you the info Macie! Thanks for choosing Oh Rome! I tried the Oh Rome at a HEB in San Antonio and I absolutely love it. Now they are no longer carrying it and I was wondering if this is sold in Washington state or if I could buy it online? My sisters love this wine and have looked at all the local markets in our area of Katy/Houston, Texas and cannot find it anywhere. I would like to know where I could order some and have it shipped to me directly. Hello Lupe, thanks for your interest. I have emailed you directions to have Oh Rome shipped to you. Please contact me if you have any further questions. Can you please send me details on how to buy online, best wine ever !! 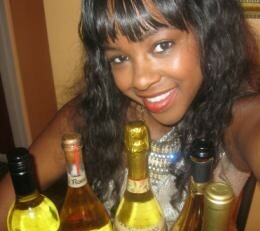 Kimberly, Thank you for inquiring about Oh Rome MOscato! I have emailed you information on shipping. Nearly a dozen people on this OH ROME MOSCATO inquiry feed have used the shipping alternative and had their wine shipped safely and securely to them. Please contact me if you have any questions. Of Course! I’ve shipped to you before right? OH Rome Moscato goes quite quickly LOL. Everybody loves Oh Rome Moscato d Asti! I, like so many others, cannot find Oh Rome Moscato since my HEB stopped carrying it. Please help me locate another option near Waco or Temple, Texas. Our HEB in Sienna/Missouri City will no longer carry that Wine it is also no longer available in Sugar Land, can I purchase direct and have it shipped to me ? Tried other Wine Distributors without any Luck. Absolutely love this wine! Could you please give me the information needed to buy online. Also, where can get it in Alabama? Thanks! Thanks Alex, I just forwarded your information to our Alabama distributor. Oh Rome is sold in Alabama and is in stock. Can you please send me details on how to buy online. I really miss Oh Rome. I have yet to find anything close. I stocked up during an HEB promotion, and less than a month later is was no longer in the store. I would love to have it shipped to me, if you would send me the instructions. Christina, I emailed the info to you a while back. Did you receive it? My daughter tasted this wine at a friends house in New Mexico. It was bought in Midland TX, And now they can’t get any more of it. I will try to look for it in my Texas area for her. Can I get the info, so she can buy it and have it shipped to her in New Mexico. Could you please send me information on how I can get the Oh Rome! Moscato D’Asti wine. I have looked in every HEB stores surrounding me here in the Austin, Texas area and I cannot seem to find it. Thanks Gene! You’ve been a loyal Oh Rome customer thanks so much! I have asked several times now how I could have the Wine shipped to myself and never receive a response. I have noticed that other people also have asked and see as a response I have emailed you. I just wonder if a reply ever goes out. I have looked in several different HEB’s without any luck of stock. Monika, my email may have gone to your junkmail, but I have sent you the information. Thanks for inquiring about Oh Rome Moscato D Asti. LOVE LOVE LOVE THIS WINE!! Just wish it were easier to get a hold of in Texas. I’ve introduced Oh Rome Moscato to several family members and friends. To our disappointment we cannot located it anywhere in San Antonio, Tx. Help, where can we purchase a few cases? Any help will be appreciated. Love it!! But I cant find it in Houston, TX. I’m hooked not I cant get it. UGH…. Where to buy in silver spring Maryland? I tried and fell in love with oh Rome last year and would live to get my hands on some more. I live in San Antonio and have search for it but came up with nothing. Do you know where or how I could some? Thanks! Please let me know when you know of a place thats selling it in Katy,TX..Bough at few bottles back when HEB was selling it and went back to get more and no longer sell it..Been looking for it ever since in other stores..Love it!! I am the representative for Oh Rome in Texas and I want to update all of you. Albertson’s in the Dallas area carries Oh Rome and I am working with my distributor on Costco. Go into your local Costco and ask for it. The more request they get for the product, the faster we can get it into the stores. I apologize for the brand not being out there for you. Sometimes the business side of things affects the most important person out there, the customer. I am working hard to rectify that for all of you Oh Rome fans. Have a great 2013 and hopefully you can do it with a glass or bottle of Oh Rome very soon. CHEERS!!!! Hi Sean…Any places in Houston and surrounding areas that Oh Rome is available? Mona, The new store named Sprouts in Katy and Spring Cypress have Oh Rome now. I am going to set up tastings soon so that people will know about this. They are going to open two other locations in Houston. Their website may even say where those locations will be. i am so glad to see all these emails. i live by the Sienna Plantation HEB and have finally run out of the cases I bought. I hope COSTCO can keep it stocked. The ladies here LOVE IT! I am also glad to have it shipped if someone will send me the info. Thanks! Hi Nichole. I believe they should be restocked now. I live in Temple, Tx. Can someone tell me where i can get Oh Rome. They use to sell it here at the HEB’s about a year ago, maybe longer, but I have neen trying to get it. I went to a HEB in Houston and was told that Oh Rome has changed it’s name. Is that true? I am just tickled pink with that news.It will be so nice to be able to just go to the store instead of having to buy a case at a time.Ok,I’ll probably still buy it by the case but won’t have to have it shipped and I won’t have to feel guilty about buying a different wine for my guest and keeping back a few bottles of the Oh Rome for myself.I do have a lot of people wanting to buy it after tasting it at my dinner parties. I have just been notified that Oh Rome will be available at the Sprouts location in Katy very soon. As soon as I know it has shipped to the store I will let you know. It should be going into most of the Sprouts locations in Texas by the end of July. The Sprouts location off of Spring Cypress in Houston should already have Oh Rome. If you live in that area, check it out and let us all know. I am doing my best to have it readily available by the end of summer. Oh Rome is continuing to make a come back!!!! Where can I buy this wine in Mc Allen Tx? Sylvia, it should be sold at the HEB on your area. Sprouts in Katy and Spring Cypress. Now have Oh Rome in the Houston area. The two Sprouts in the Houston area now carry Oh Rome. There will be a tasting on Oh Rome this Wednesday, June 26th. Not sure of the time frame just yet, but I am guessing between 3 and 7pm. The tasting will be 3 hours long. If we can sell out the product, it will assist in getting Oh Rome into all Sprouts locations in Texas. The two Sprouts stores in are Katy and Spring Cypress. Will the Oh Rome be available to purchase that weekend at the stores after the taste tasting on 6/26? That’s usually the case. Thanks! Just picked up a case from the Sprouts farmers market 249 & Spring Cypress Rd Cypress Spring Tx 77070 Yay!!! Awesome Martha. I am glad you were able to get the wine. Picked up 12 bottles at one of my local HEBs today! Dont know if it was just by chance they had some left over or what but I was doing the happy dance! Which HEB store did you find Oh Rome Mona? Where can I find oh rome in corpus christi tx area? Sprouts will start to carry Oh Rome statewide. It will not be in all stores until the ad that breaks for Labor Day. So starting September, Oh Rome will be available in all major Texas cites and you will have it for the holidays. This includes Corpus Christi as there is a Sprouts located there. The wait is coming to an end my Oh Rome fans. Where can I purchase Ol Rome in temple Texas. My wife loves this wine and HEB no longer carries it. Anthony, Request it at your HEB store. Let them know that Glazer’s has it in inventory. That is what I did and my HEB, after a little work, now has Oh Rome and I am being told it will be put back into the set as well. I hope all my persistence as a customer makes it easier for everyone. I had this wine for the first time last night at the wine loft in Birmingham al, please tell me where I can buy it AMAZING! Awesome! I’m so glad you enjoyed it. Find it at the Bottle Shop off Roebuck Parkway. In the shopping center near Huffman High School. I’m in Dallas. Where can I purchase oh Rome. First tasted it in corpus Christi. Need my fix. Analissa, you can purchase Oh Rome at Albertson’s in the Dallas area. Sprouts will start carrying Oh Rome on the Labor Day Ad a week from this coming Wednesday and will continue to do so from that point on. Still waiting on Costco as well. I live in Houston and I brought several bottles at HEB by my house. I have tried 2 different Sprouts and a Albertson and still no luck. Do you know where I can find this Moscato. Absolutely luv it.